We have a GOP House Failure in the House of Representative. It’s more like a three-ring circus. The tea party republicans oppose the conservative republicans. And the conservative republicans oppose moderate republicans. This leaves the House divided among it-self. Grover Norquist and his, “Americans for Tax Reform” want to unite these opposing parties into the party of “No.” By signing his pledge of no new taxes and no to the President Obama and the democrats in congress. republican party. They are also a party of no compromise. All bills must pass the house and the senate before the president can sign it into law. The house is uncompromising in part because this is election year politics and they,(the republicans) want to make President Obama a one-term president. The private sector lack confidence in congress and gave them an “F” for failure. And the private sector is sitting on over a trillion dollars, but will not invest in the hiring of new employees. Until congress serve the people who elected them into office. GOP members of congress are not about compromise. When congress fail. The government will fail also. The credit rating lacks confidence in congress and gave them an “F” for failure. And the United States credit rating was downgraded from AAA to AA. The GOP wanted the United States Government to fail under President Obama administration to make Obama a one term president. The people lack confidence in congress and gave them an “F” for failure. And will not vote for that failed Representative in the house. Congress has such a low approval rating. That the people will make their voices heard at the ballot box by saying no to the party of “NO.” To remove this three-ring circus from the House of Representative. And have a government that works for the people. And not for the RNC, DNC or any other special interest group. GOP Representatives, leave those elephants at home. Please, do not bring them into the house of the people. They are making a mess in the House of Representative. The Legislative Branch of the House of Representative has the power to write all bills about the collection of taxes, and creating a budget each and every fiscal year. Not the president or the Supreme Court. Congress has the power to write bills for the general welfare for all Americans Citizens. Congress doesn’t have the power to sign any bill into law as in the constitution. That power is given to the president. Congress doesn’t have the power to uphold any law as constitutional. The Judicial Branch are responsible for interpreting all laws passed by congress. The republicans in congress want to rewrite the constitution in their own right-wing image. As an exclusive government for the republican party. Those in favor of a democracy will not vote for a one party rule. 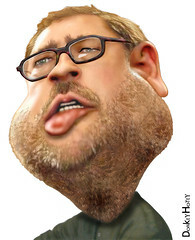 Grover Norquist is responsible for GOP House Failures. This entry was posted in GOP House and tagged Americans for Tax Reform, congress, Grover Norquist, House Divided, House of Representative, Legislative Branch, President Obama, republican, RNC, three-ring-circus, united states. Bookmark the permalink. stuff from. Thank you for posting when you have the opportunity, Guess I’ll just bookmark this web site. I’m really impressed with your writing talents and also with the structure to your weblog. Anyway stay up the excellent quality writing, it is rare to see a great blog like this one nowadays.. This is not a paid theme. I created it myself. I appreciate your comment.